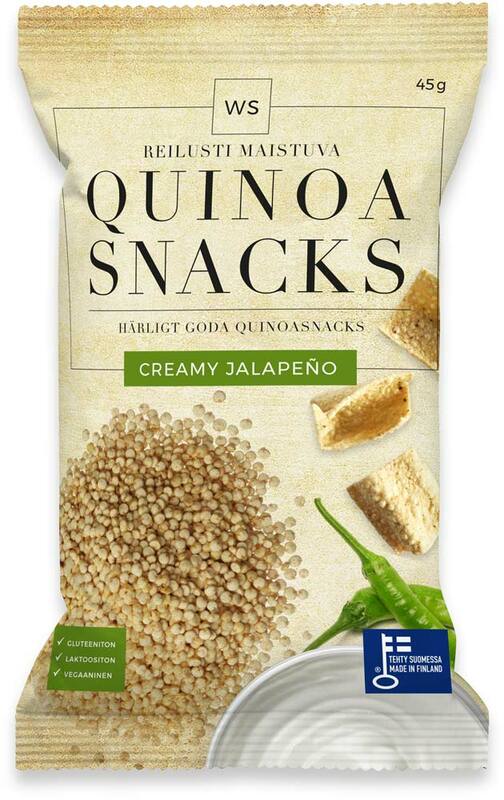 WS Quinoa Snacks with Creamy Jalapeño flavour - License to enjoy! WS Quinoa Snacks with Creamy Jalapeño flavour! 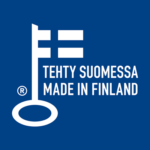 We prepare our deliciously crispy WS- Quinoa snacks at our family business in Kaskinen. The snacks are gluten-free and vegan-friendly. They contain more protein and less fat than traditional chips. They are great for snacking or even a heartier treat between meals. License to enjoy! Ingredients: quinoa flour 29 %, rapeseed oil, potato starch, corn starch, corn flour, seasoning mix (dextrose, salt, sugar, yeast extract, flavouring, spice (jalapeno,white pepper, garlic), onion, acidity regulator (lactic acid, citric acid) spice extract (capsicum, cayenne pepper), natural flavouring), sugar, salt.. May contain small amounts of soy.